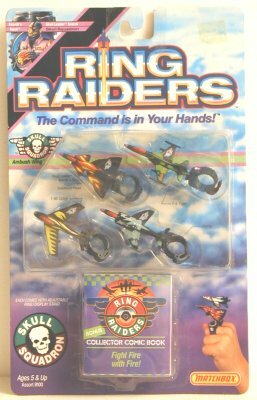 The world is threatened by the evil Skull Squadron. 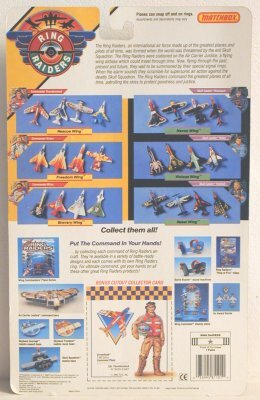 To combat this threat an international air force consisting of the greatest planes and pilots of all time is assembled. 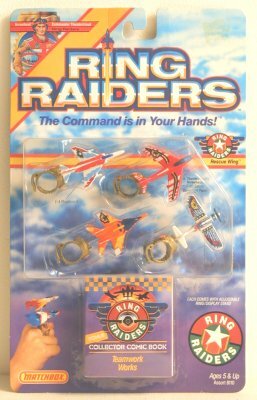 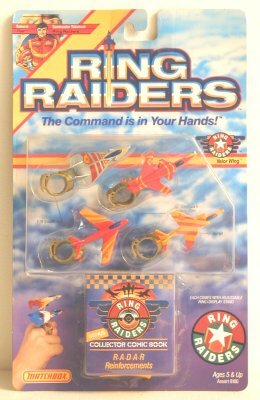 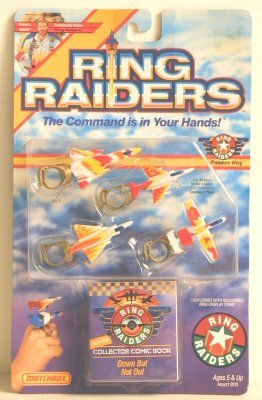 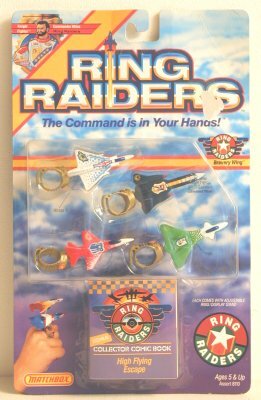 They are the Ring Raiders. 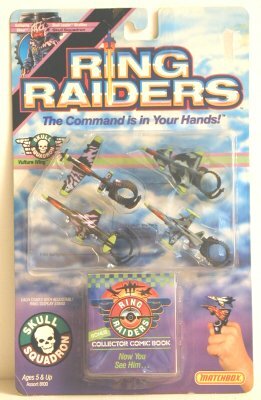 Stationed on the Air Carrier Justice, they travel through time to protecting goodness and justice. 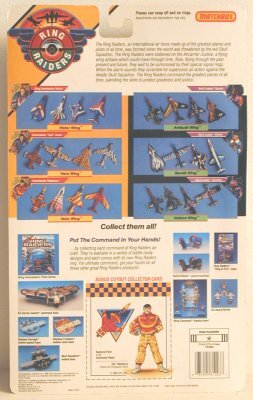 These toys were made by Matchbox in 1988.